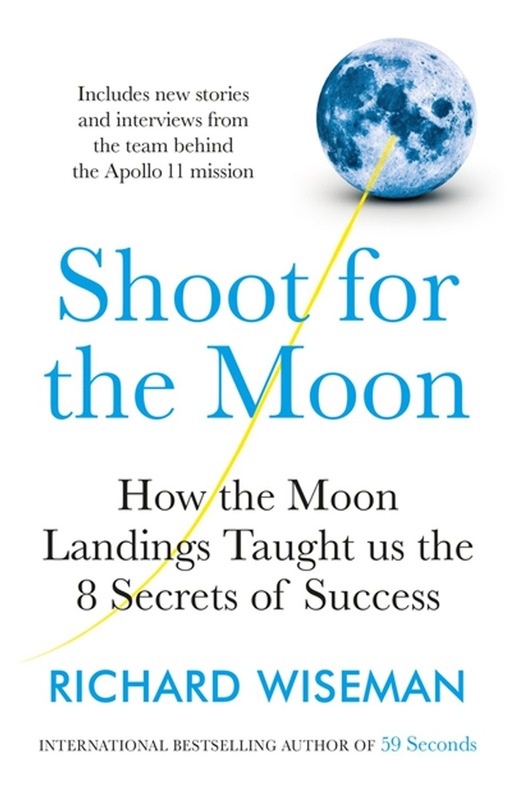 'Fascinating new book examines the history of Nasa's Apollo space missions' Daily Mail _______ Eight key lessons to revolutionise your life with the mindset that got man to the moon. 20th July 1969: Neil Armstrong becomes the first person to walk on the Moon. We all recognize this to be one of mankind's greatest achievements. Yet what did it take to make John F. Kennedy's dream a reality? 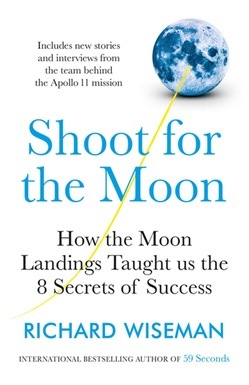 In this remarkable book, Professor Richard Wiseman presents a pioneering study of the mindset that took humanity to the Moon, and shows how you can harness and use it to achieve the extraordinary in your everyday life. Combining personal interviews, mission archives and cutting-edge psychology, Wiseman embarks on the ultimate voyage through inner space. Along the way he identifies eight key principles that make up the Apollo Mindset, including how pessimism is crucial to success, and how fear and tragedy can be transformed into hope and optimism. You will discover a series of practical techniques that you can use to incorporate these winning principles into both your professional and personal life. Whether you want to start a business venture, change careers, find your perfect partner, raise a loving family, get promoted, gain a new qualification, escape the rat race, or pursue a lifelong passion, these techniques will help you to reach your own Moon. Acquista Shoot for the Moon in Epub: dopo aver letto l’ebook Shoot for the Moon di Richard Wiseman ti invitiamo a lasciarci una Recensione qui sotto: sarà utile agli utenti che non abbiano ancora letto questo libro e che vogliano avere delle opinioni altrui. L’opinione su di un libro è molto soggettiva e per questo leggere eventuali recensioni negative non ci dovrà frenare dall’acquisto, anzi dovrà spingerci ad acquistare il libro in fretta per poter dire la nostra ed eventualmente smentire quanto commentato da altri, contribuendo ad arricchire più possibile i commenti e dare sempre più spunti di confronto al pubblico online.